The Practice will be closed Friday 19th April and Monday 22nd April for Easter Public Holidays. Should you have a life threatening illness or in case of emergency please dial 999. If you have an urgent medical problem which cannot wait until the surgery re-opens please dial 111. Please make sure that you order your repeat prescription for any medication you may require over this period by Tuesday 16th April. 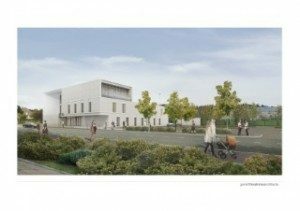 Welcome to the Firrhill Medical Centre. 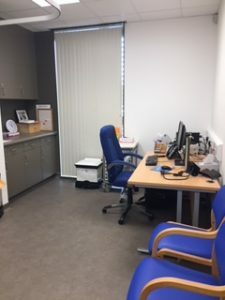 We moved into our new premises within the Allermuir Health Centre in November 2017. 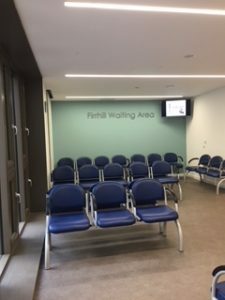 As you enter the Health Centre Firrhill Practice is situation on the ground floor on the right hand side. Our telephone number remains the same. After pressing option 2 your call with be answered by our Receptionists or if they are already taking a call placed in a queue and your call answered when the line is available. IF ALL AVAILABLE LINES TO THE SURGERY ARE BUSY you will hear the message “this line is unavailable” please hang up and try again later . PLEASE DO NOT CHOOSE OPTION 3 – Health Visitors or 4 – District Nurses unless you wish to speak to them directly as they are unable to transfer calls to our Reception. Use the buttons below, or the menu above, to access information about our services. Dr Cockburn is running the London Marathon…………………..